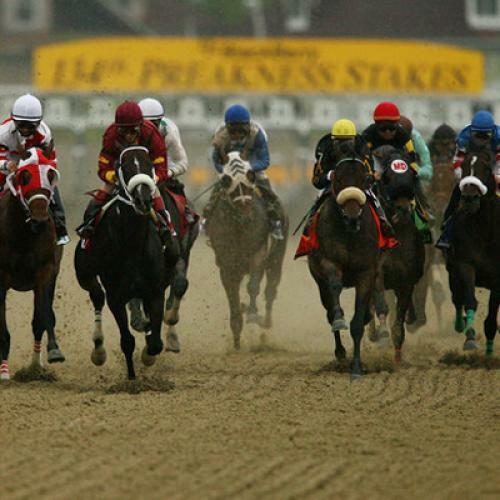 Will Gambling Kill Kentucky Horseracing? On a clear day, when the sun shines so brightly that the Kentucky bluegrass actually looks just a little bit blue, Arthur Hancock can stand atop one of Bourbon County's rolling hills and survey a good portion of the 2,000 acres he calls Stone Farm. He can see the low-slung barns; the tall ash and oak trees; the miles of wooden fence; and, most importantly, the horses. Stone Farm has more than 200 of them—mares looking after their foals, yearlings grazing together, stallions prancing in their private paddocks. But about five miles from Hancock's perch, just over the horizon and out of his sight, there is another horse farm, Claiborne Farm—the farm that was supposed to be his. Hancock is a fourth-generation horseman—the son of the legendary Bull Hancock, who in the mid-twentieth century turned Claiborne into the mightiest farm in all of Kentucky horsedom. But as a young man, Arthur's first love wasn't horses; it was music: He played the guitar and wrote songs, and he was good enough at both that in the mid-1960s he signed a deal with Monument Records. Arthur kept a hand in the horse business—working for Bull at Claiborne—but even then he indulged in the musician's lifestyle, drinking and carousing and occasionally spending the night in jail. He was, he once said, "a freewheelin', hard-drinkin', guitar-pickin', bar-brawlin', skirt-chasin' fool." So much so that when Bull died in 1972, he left Claiborne not to the 29-year-old Arthur but to three trustees, all prominent members of the horseracing establishment, who—ignoring primogeniture—awarded the farm to Arthur's 23-year-old brother, Seth. Denied his birthright and shunned by a buttoned-down horseracing establishment, Arthur left Claiborne's 4,500 acres an outcast and moved a few miles down the road to a 100-acre farm that had once belonged to a man named Stone. "It was a raggedy farm," recalls Al Smith, a Kentucky newspaper publisher who visited Hancock in the early days of his exile. "He was writing country music songs and playing the guitar, and his girlfriends would bring him comforts—food and other comforts—from town." But over time Hancock settled down. He married the daughter of a Louisville dentist; he moderated his drinking; and, relegating music to the status of a "strong hobby," he committed himself to the business of breeding and owning horses. And like his father, he was good at it: Over the years he transformed Stone Farm from an Elba into the envy of horsemen all over Kentucky. In 1981 Hancock became the first breeder ever to sell a yearling filly for $1 million. A year later he attained an honor that had eluded even Bull: One of his horses won the Kentucky Derby—a feat he would accomplish two more times. All told, over the past 30 years, he has bred or raised more than 100 stakes winners. Stone Farm is now as much a part of the racing establishment as Claiborne; and Hancock, like his father before him, is considered one of Kentucky's top horsemen. One cool morning in April, I visited with Hancock as he made his early rounds at Stone Farm. Standing outside a barn, he watched his farmhands lead a dozen or so yearling colts—fresh from their morning feeding—out to an adjacent field. A tall man with long limbs and an ambling gait, Hancock didn't flinch as some of the colts roughhoused a few feet away from where he stood. He squinted through his large glasses and examined each one, commenting on their physiques and bloodlines. "He looks like an athlete," Hancock said of one finely muscled colt. "He's got a little bit of Secretariat in him," he said of another. As the colts—a few million dollars worth of horseflesh—gamboled around the field, Hancock turned to me and smiled. "You might have just seen a Triple Crown winner," he said, "you never know." Nearing 60 and a millionaire several times over, Hancock didn't need to be out by the barn looking at colts that morning. Stone Farm, after all, now employs about 30 people. But accompanying Hancock as he tended to his farm's business, it wasn't hard to see why he kept at it. With a passion unique to someone who has fallen away from the faith only to return, Hancock loves the horse world. As we drove the farm's roads, he kept up a running patter about the beauty of it all—the blossoming gum and maple trees, his prized stallion, the creek that runs through his property. "The horse business," Hancock finally pronounced, "is a good business." Indeed, the man who was once too rebellious and wild for that business has now become one of its most avowed traditionalists. Which is why Arthur Hancock finds himself an outcast once again. The reason for Hancock's current estrangement is that he opposes introducing slot machines to Kentucky racetracks. And the Kentucky horseracing establishment is asking the state legislature for permission to do just that. Kentucky's eight racetracks, slots proponents argue, face a mortal threat from the floating casinos anchored on the Ohio River in Illinois and Indiana, and from the racetracks in West Virginia—known as "racinos"—that boast gaming machines. Without slots at the tracks, the argument goes, more and more Kentuckians will spend their entertainment and gaming dollars at the riverboat casinos, and more and more owners will race their horses for the higher, slots-fueled purses offered in West Virginia. And if Kentucky's racetracks struggle, so will the rest of the state's horse industry, which employs 80,000 people. "It's very straightforward," says David Switzer, executive director of the Kentucky Thoroughbred Association, which represents the state's owners and breeders. "We need the slot machines to protect the Kentucky horse industry." Kentucky, of course, would hardly be the first place to allow slots at racetracks. Racinos—with their combination of old-fashioned horseracing and newfangled video-gaming machines—now operate in six states. But horseracing in Kentucky is not like horseracing anywhere else. Kentucky is the sport's historic and spiritual home—the place where more than 30 percent of the Thoroughbreds in the United States are born, the place that every first Saturday in May hosts what, even after 127 years, remains horseracing's most storied event: the Kentucky Derby. Indeed, Kentucky is one of the few remaining places where horseracing is even still viewed as a sport, much less the sport of kings. Expanded-gaming proponents contend that without slots to pump up the purses at the tracks—which will then translate into higher sales prices for owners and higher stud fees for breeders—Kentucky's signature industry and most abiding civic institution will wither and die. But for a man like Arthur Hancock, the question is this: Once Kentucky horseracing's saviors are done saving it, will it bear any resemblance to the thing they were so desperate to save? Horseracing has always been inextricably linked to gambling: As long as man has been racing horses, he has been betting on the results. Originally the pastime of a small clique of British nobility who would wager large sums on what were often head-to-head contests between their favorite horses, horseracing came to the United States with the colonists. And, as in Britain, it was initially a pursuit largely restricted to members of the upper classes who owned horses themselves. But by the time the Civil War started, America's democratizing impulses had transformed horseracing into a pastime with mass appeal, and it had become a hugely popular spectator sport. Kentucky horseracing's Mecca was Churchill Downs, the famed twin-spired racetrack in Louisville. Built in 1874 as a place for Kentucky's blue blood breeders to showcase their wares, the track paid out its race purses from the money it made from gaming. At first, bookies controlled gambling at the track. But by the early 1900s, as Timothy L. O'Brien writes in his book Bad Bet, the bookies were fixing races and bilking bettors. Facing a public backlash over horseracing's increasingly seamy reputation, Churchill Downs turned to something called parimutuel betting, which relies on tabulating machines, not bookies, to take bets—and therefore allows the odds to be determined by the gamblers themselves. With bettors essentially betting against other bettors, the track simply acted as a stakeholder, holding the bets—and taking a standard cut out of each one (usually about 20 percent) for, in effect, putting on the show. After Churchill Downs blazed the trail, the parimutuel system quickly caught on at racetracks across the country. Over the years betting on horses has evolved. The standard "win," "place," and "show" bets—in which a bettor merely picks whether a horse will come in first, second, or third—are now joined by more elaborate wagers like "daily doubles," "exactas," and "trifectas"—in which a bettor must pick a combination of outcomes. And bettors are no longer limited to betting on races at the track they attend. With the advent of simulcasting, 80 percent of all the money wagered on horses is now done remotely. But no matter how much betting on horseracing has evolved, it is all still run on the parimutuel system. For close to a century now, horsemen—particularly blue blood Kentucky horsemen—have pointed to the parimutuel system as proof that horseracing is a nobler pursuit than run-of-the-mill gambling. Unlike cards or slots or lotteries, in horseracing the house has no stake in the outcome. What's more, betting on the horses is not just a matter of luck: A good handicapper, horsemen will tell you, isn't that different from a good horseman—both study things like bloodlines and musculature to determine how a horse will run. That's why horsemen, while acknowledging that racetracks could not operate without the money they make from betting, have also claimed that gambling is largely tangential to "the sport." As Hancock puts it, "We're a sport that you can bet on." But that was not what Churchill Downs President Alex Waldrop told me when I visited him at the track a few weeks before the Kentucky Derby. A lawyer by trade who grew up in Western Kentucky—"as far away from a racetrack as you can get in the state of Kentucky," he says, "and still be in Kentucky"—Waldrop was not involved with horseracing before Churchill Downs hired him as its in-house counsel ten years ago. But after rising through the corporate ranks to become the track's president, he is now one of the most important voices in the Kentucky horse industry. An energetic man in his early forties, with a ruddy face and boyish brown hair, Waldrop clearly relishes his position. Sitting in his wood-paneled, windowless office behind the track's clubhouse, I asked him if betting was horseracing's fundamental attraction. "Yes, it is," he said. "Horseracing is not like team sports or individual sports. It's very difficult to get a rooting interest, a team-like rooting interest in a horse. ... People have to have a betting interest." As Waldrop sees it, horseracing is at a crossroads. "Horseracing used to be the only game in town—literally," he said. But with the growth of state lotteries and casinos, "racing now finds itself, in the first part of the twenty-first century, as one of a variety of gambling options." And the competition has hurt revenue at the tracks. The crisis is particularly acute in Kentucky, Waldrop said, because two tracks—Turfway Park near Cincinnati and Ellis Park (owned by Churchill Downs) in Western Kentucky—are being driven out of business by nearby riverboat casinos. Even Churchill Downs, one of the most profitable tracks in the United States (it posted net earnings of $22 million last year), has seen a drop-off in business, a drop-off it attributes to the Caesars Glory of Rome riverboat casino about 13 miles away in Indiana. If any tracks go under, Waldrop said, the state's year-round racing circuit—which in addition to good soil is one of the fundamental appeals of raising a horse in Kentucky—will be broken, dealing a serious blow to the state's entire horse industry. Slots, Waldrop argued, would fix all that. "The best way to bring people back to the track is to offer them more variety at the track, to basically give them what they want," he said. "There are some people who are engaged by and enjoy ... wagering on horseracing. But there are many people for whom there's too much work involved or it's too intellectual.... You can play the slot machine twenty-five or thirty times in the span of time it takes to place a wager on a horse race." To house the slots at Churchill Downs, Waldrop envisions building a $100 million casino behind the track's grandstand. "The model we're working with is not one that says put a few machines in the corner," he said. While Churchill Downs has been fighting for slot machines since 1994, the rest of the Kentucky horseracing establishment has only recently joined the battle. But now that it has, it's fighting with all its might: In the past year the Kentucky horse industry has launched an advertising blitz and lobbied legislators—all in all spending $1 million in support of slots. The money has paid off. Recent polls show that public opinion, once decidedly against slots, is now in favor of them. And in the legislative session that ended last month, the pro-slots forces, for the first time, got a slots bill passed out of committee. "This time last year we weren't in the game," Waldrop said. "Today people know and understand what we're about. They know what we can deliver." Several people in the horse industry told me they expect the slots bill to pass the full legislature next year. One key reason is Kentucky's mounting fiscal crisis. Currently facing a $500 million budget deficit, the state needs a new revenue stream, which the slots would provide. "Gaming is a stable source of revenue for government," said Waldrop, citing predictions that slots would eventually bring Kentucky $300 million in annual tax revenue. "The question is, can we afford to leave those opportunities on the table? Can we afford to allow those hundreds of millions of dollars to go across the river to Indiana, Illinois, and other states when our own programs here are going begging?" Slots will not only save Kentucky horseracing, he seemed to be saying, they will save Kentucky. In its argument to the state legislature, the Kentucky horse industry has stressed the fiscal benefits slots would bring. And as with other gambling debates, opponents have responded that slots would breed poverty and addiction. As the Reverend Nancy Jo Kemper, executive director of the Kentucky Council of Churches, puts it, "The gambling business is a predatory enterprise." She points to studies showing that a person who earns $10,000 per year gambles twice as much as someone who earns $40,000 and four times as much as someone who makes $80,000. "Slots would be a tax on people who are poor and desperate for luck." Arthur Hancock, however, isn't particularly interested in that broader debate. "In the short term I'm sure slots will actually make people a lot of money," he says. "But in the long term I think they'll be bad for the horse business." Part of Hancock's opposition to slots—which he made public in a much-discussed editorial in the Lexington Herald-Leader entitled "not everyone in the horse industry backs slots"—stems from a folksy brand of elitism. Slots proponents argue that higher purses will make horses a more attractive investment and lure new people into the industry, and Hancock doesn't necessarily disagree; he just doesn't think that's a very good thing. "One of the ways the horse business gained its respectability was by having nice, respectable people in it—people like the Whitneys and the Vanderbilts," he says. "They call it the sport of kings and the reason they do is because it takes a king to afford to be in it. ... And I worry that we wouldn't get nice, respectable people in the game if we were involved with slots." After all, the horse world, as Hancock has always known it, is a world of timeless gentility, a world most people enter only when they've had enough of—and made enough money in—crass, commercial endeavors. But at a deeper level, Hancock opposes slots because he fears they will ultimately take the focus away from the horses. "When you go to the racetrack you see a show," he says. "You get pageantry and tradition. ... I don't think the tracks can serve two masters. They're either in the horse business or they're in the gaming business. And, as a horseman, I want the tracks to have their primary interest be in horses." If it isn't, Hancock predicts, bottom-line-conscious racinos might eventually start wondering why their hugely profitable, low-overhead casinos are subsidizing economically sluggish, high-overhead racetrack operations at all—and horseracing will simply fade away. And without horseracing, places like Stone Farm—and perhaps Kentucky's horse country itself, an area so beautiful and unspoiled that more than one person has likened it to a ten-million-acre national park—will cease to exist. Not surprisingly, Hancock turns to music for an analogy. Sitting in his car that April morning at Stone Farm, he talked about the father of bluegrass, Bill Monroe. "Times got really hard for Bill Monroe when rock 'n' roll came around," Hancock said. "He was having trouble finding places to play, and he wasn't making any money. I mean, there was a time there when he was playing for pennies. And people were saying to Bill Monroe, `You need to put drums ... into your music to make it more commercial.' And Bill Monroe said, `No, the mandolin has the chop, that's the percussion.' ... And he kept playing the way he'd been playing. And then the bluegrass festivals started picking up around the country, and he started making some money and doing better. And look at bluegrass music now. `O Brother' is the number-one album in America." Hancock paused. "If we get into this slot thing," he continued, "it'd be like putting drums in Bill Monroe's music." For traditionalists like Hancock, there is no better place to watch the races than at Keeneland. Located on 900 acres near the Lexington airport, Keeneland—with its rolling hills and rustic barns and cottages—looks more like a country club than a racetrack. Indeed, Keeneland, which is operated as a nonprofit, makes most of its money from its booming sales business—usually earning about $30 million per year from its horse auctions. But for about 30 days in the spring and fall, Keeneland plays host to the races. On a Thursday in April, I caught one of Keeneland's nine-race bills. Like everything else at Keeneland, the racetrack itself is beautiful—a limestone structure with a slate roof and ivy-clad walls. Offering the highest average daily purse in the United States (more than $625,000), Keeneland draws only the best Thoroughbreds. And, as if they didn't want to sully the lovely surroundings, many of the 10,000 or so people at that day's races were dressed to the nines. Men wore coats and ties—or at least polo shirts and khakis—and the women sashayed around in sundresses. The point, however, wasn't the gambling. The parimutuel windows did steady business, but most of the bets I overheard were of the small-time variety: "Third race, four dollars to show on number five." (Keeneland actually has one of the lowest per-capita wagers in the United States.) Rather, the real draw was pageantry and sport. Before each race, fans crowded the paddock area behind the grandstand and watched as the horses were saddled and led around by grooms. Then, after the horses were paraded to the track and the trumpeter, in a green topcoat with gold piping, had called the horses to the starting gate, the fans thronged the grandstand and the apron below to watch the race. To the extent that the betting line seemed to matter, it was only to make the races more dramatic. In the sixth race, when a 90 to one filly named Camara Cat sprinted down the homestretch and crossed the finish line ahead of the rest of the field, the crowd let out its loudest cheer of the day. That hardly anyone had bet on Camara Cat—that her unlikely victory had, in fact, made thousands of people into losers—barely seemed to matter. During such moments, it was easy to understand Keeneland's motto: "Racing as it was meant to be." But even Keeneland is adjusting to the times. After stubbornly refusing to join Churchill Downs' slots campaign for close to six years, Keeneland threw its support behind the effort about 18 months ago, removing the last major resistance to slots in the Kentucky horse industry. Keeneland has since indicated that if and when the slots proposal becomes law, it will start construction on a state-of-the-art casino—with buffet restaurants, ample parking, and thousands of square feet for slots parlors—somewhere on its 900 acres. Before that day's races, I visited Keeneland's recently retired chairman, Ted Bassett—who remains one of the track's three trustees—at the office he keeps in a stone cottage on the eastern edge of the Keeneland grounds. A tall, courtly man with combed-back white hair and large, inquisitive eyes, the 80-year-old Bassett has had one of those richly varied lives that seem unusually common in horse circles. Born and raised in Kentucky, he was a basketball star at Yale and won a Purple Heart as a Marine infantry officer in Okinawa. He served as director of the Kentucky State Police for eleven years in the 1950s and '60s; and in 1968 he went to work at Keeneland. He is probably one of the few people in the world whose office bookshelf displays pictures of himself with J. Edgar Hoover—a memento from his police days— and Queen Elizabeth, whom he hosted when she visited Keeneland in 1984. As Keeneland's chairman, Bassett had been the driving force behind the track's opposition to slots. In 1995, when paranoia over potential competition from riverboat casinos was running rampant and the pro-slots movement was gaining momentum, Bassett appeared at a legislative hearing in Frankfort and, pronouncing himself a protector "of the traditions of racing," declared: "We are not going to cave in to the hypothetical threat of a mythical armada cruising down the Ohio from Ashland to Paducah...." The speech, everyone agrees, stopped the slots movement dead in its tracks. But in the intervening six years Bassett began to reconsider his position. One factor was Keeneland's 1999 purchase—in partnership with the casino company Harrah's and the lottery-services giant g-tech—of Turfway Racetrack, which is just across the Ohio River from Cincinnati and faces direct competition from riverboat casinos. But more importantly, Bassett said, he and Keeneland began to study the slots issue more carefully. He led a Keeneland delegation to one of the riverboat casinos—"to observe," he noted—and was astounded by what he saw. "I was amazed at the investment. I was amazed at how they've transformed riverboats into floating gaming palaces. I was amazed at the quality of the food and the service and the creature comforts," Bassett said in a tone that still sounded slightly awed. "There are busloads of people that go to those boats: women's clubs, Rotary Clubs, civic clubs, groups of friends ... coming from four and five hours away." The armada, it turned out, was no myth. Bassett, one of the most respected men in Kentucky horsedom, is now a strong proponent of slots and racinos. "There is competition for the leisure dollar," he said. "If our racing industry is going to not only survive but prosper and survive, we have to properly consider expanded gaming." Bassett has little patience for those who continue to hold the view he himself once held, dismissing them as "jaundiced moralists." But that's not to say that he is without regrets. "In the twilight of my career, with one foot in Alzheimer's-ville, I would like to see life in the racing world continue the way it has been for the last fifty years," Bassett said in the stone cottage on the 900 acres that, for the moment at least, still seemed frozen in time. "I feel very strongly about [horseracing's] past, present, and future. But it's the future I'm concerned about." One vision of that future can be glimpsed in Kentucky's neighbor to the east, West Virginia, at the Mountaineer Racetrack. Sitting amidst the steel factories and power plants that line the Ohio River in the state's northern panhandle, Mountaineer has experienced a much-ballyhooed renaissance in recent years. Less than one decade ago the track was losing $12,000 per day and was on the brink of bankruptcy. But in 1994 West Virginia legalized video gaming at racetracks—and Mountaineer was saved. Reborn as a full-scale entertainment and gaming complex, Mountaineer Racetrack and Gaming Resort, as it's called these days, is now touted by Fortune as the forty-seventh fastest-growing company in the United States; Forbes recently ranked it seventh on its list of America's best small businesses. Last year Mountaineer earned $19 million on revenues of more than $200 million. All that money has enabled the racetrack to offer higher purses, which have risen from about $22,000 per day in 1994 to $160,000 per day at the beginning of this year. Indeed, Mountaineer's slots-fueled purses are now so enticing that many Kentucky horse owners are sending their low-level claiming horses to the West Virginia track instead of the closer-to-home Turfway Park, which once had a near-monopoly on Kentucky's lower-rung Thoroughbreds. On a recent Friday night Mountaineer was bustling. The 140,000-square-foot "Speakeasy" casino was packed, as men and women—holding plastic buckets filled with tokens or wearing Velcro bracelets that attached, via pink cords, to game-credit cards—sat in front of slot machines with names like "Easy Street" and "Winning Touch" and "Money to Burn." Underneath a massive faux-Tiffany chandelier, people padded around the carpeted hall, sipping drinks and staring at posters for upcoming Mountaineer concerts by Englebert Humperdinck and Kenny Rogers. One flier touted an upcoming Mountaineer event called "Polkapalooza." Each ad bore Mountaineer's slogan: "We'll Leave the Slots on for Ya!" The sound of the pinging machines was constant. But on the other side of the Mountaineer complex, over at the racetrack, the crowd was sparse and things were quiet. The grandstand was mostly empty, the cavernous space containing only a few dozen people and the sound that came from a track television tuned not to the races but to the movie Grease. Down below, on the apron by the track, a couple hundred fans—most in jeans and t-shirts— lingered at picnic tables. They drank beer and scanned that night's race program, and every now and then, some of them would get up and head back inside to place their bets and get more beer. After a little while, the public address system played a tinny recording of a trumpet and the horses were led out onto the track. Unlike the horses that run at Keeneland and Churchill Downs, the ones at Mountaineer won't ever contend for the Triple Crown: They are the also-rans—the horses that were never able to fulfill their owners' dreams. The third race that night was restricted to "maidens"—horses that have never won a race before. But even if the horses were maidens, they were still Thoroughbreds, and as their muscled, 1,200-pound bodies were loaded into the tight confines of the starting gate, it was easy to see how desperately they wanted to be released so they could run. When the gates flew open, a dark-brown horse named Drummin Slew was the first one out. A five-year-old gelding who went off at 22 to one, Drummin Slew was a long shot in a field of long shots. But as the horses raced around the mile-long track, Drummin Slew built on his initial lead, so that by the time the field was heading into the homestretch, it looked like he had matters in hand. But then the race favorite, a black gelding named Randi's Song who started at two to one, made his move. Coming down the homestretch, Randi's Song gained on Drummin Slew until the two horses were practically neck and neck. Their jockeys' whips flying, the two horses galloped nearly in sync. Their eight hooves were suspended above the ground at almost exactly the same time, and when they came back to earth, there was a mighty thud and a thick cloud of dirt. Both horses strained for the finish line, fighting for a position that neither had ever known. And as they crossed the line, with Drummin Slew holding off Randi's Song to win by a neck, the moment was all at once happy and sad and almost, in a way, beautiful. But on the apron, the people in the sparse crowd just crumpled up their losing tickets and headed back inside for more beer, and it seemed clear that no one had even noticed.